Happy Monday! 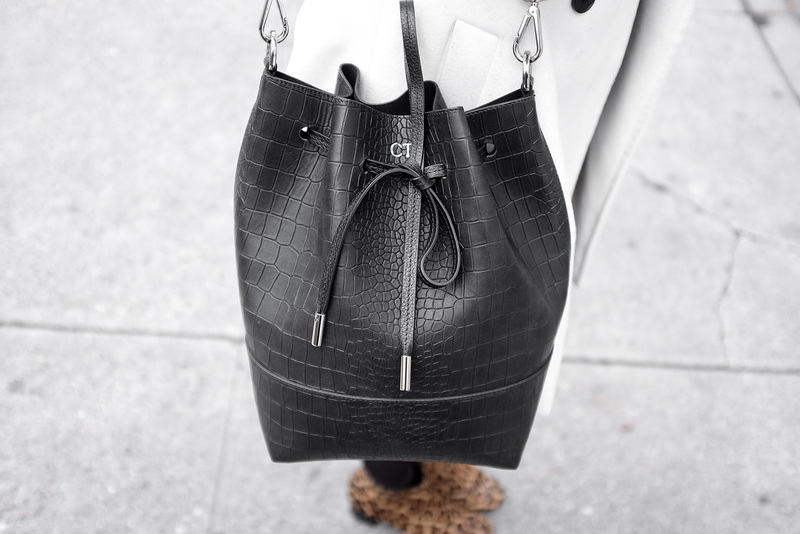 Let’s talk about the newest addition to my bag collection — a custom black croc-embossed bucket bag. Last month, I was introduced to Mon Purse and its founder Lana. I had the opportunity to create my very own handbag from scratch using their 3D designer on the website. The combinations of color, leather type, hardware and monogram were endless. I wasn’t too creative with mine because I wanted to design some minimal and chic, but I did have a lot of fun! 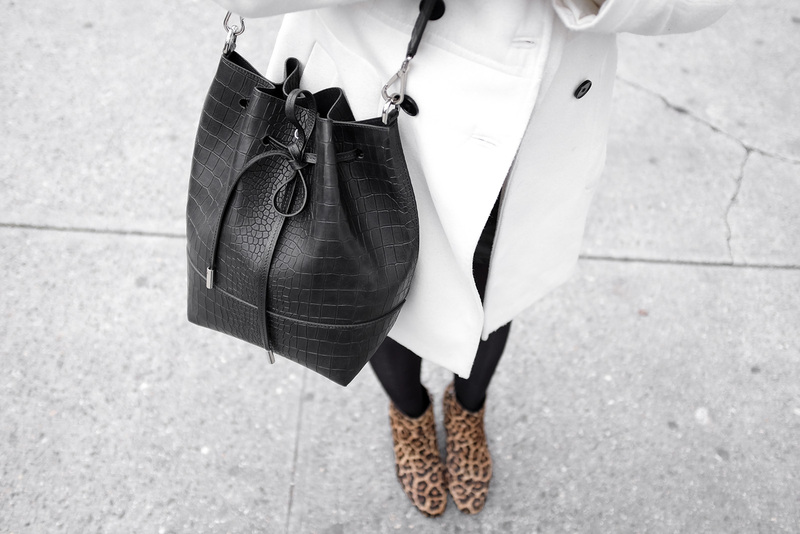 I’ve always wanted a bucket bag, so it seemed like a no-brainer when selecting. Bespoke will always be a luxury. Your new bag was produced from scratch according to your specifications. It’s finery at its best and often comes at a premium. An amazingly crafted designer handbag can cost upwards of four figures. This bag was only a fraction of most luxury leather items on the market. What I love most is the fact that my bag was made in Europe, so you know the leather is quality. By selecting the right colors and leather type — in this case a classic black and croc-embossed leather — you can easily create a beautiful piece that also looks luxe as well. Win! That feeling when you created something yourself and see it come to life is the best. Every time I wear my bucket bag out, I feel proud. Also, with monogram options, you make it your own. There’s also that sweet feeling that the chance someone else has the same bag is extremely low. This is especially true if you customized your bag in several color/leather combinations. I believe there’s over 5-6 billion combinations on Mon Purse now. Have you ever wanted a certain type of handbag silhouette with specific hardware and leather colors? Sometimes what is selling in the market isn’t available or hasn’t been created yet. I’ve always had problems with loving the bag in the leather I wanted but it didn’t come in the hardware color I liked. It’s definitely an issue when it comes to deciding on a luxury purchase. Going bespoke takes that problem out of the equation. Next time, I really want to make something in a blush smooth leather with rose gold hardware and monogramming! My new bucket bag also comes with a detachable leather pouch (also fully customizable), which I monogrammed in addition to the front initials. For a full look at my new bag and thought process behind my design, watch my unboxing video! If you like to play with the 3D designer and create a custom handbag of your own, head over HERE.